Mumbai, January 22, 2018: Every year, thousands of children from across the city gather at Marine Drive to raise cancer awareness and support for research into the prevention and cure of childhood cancer. 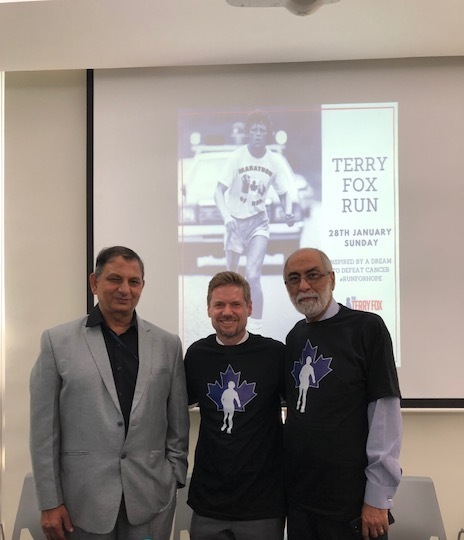 Inspired by Terry Fox’s original Marathon of Hope, the run is hosted by the Terry Fox India Committee and supports the Tata Memorial Hospital for Cancer Research here in Mumbai. Over the past twenty years, Terry Fox India has raised crores in support of the Tata Memorial Hospital. Together they have developed research that has impacted the lives and futures of several children suffering from cancer. Terry Fox was a Canadian athlete who was diagnosed with Osteogenic Sarcoma (bone cancer) and forced to amputate his right leg at the tender age of 18. The prognosis the doctors offered him was poor and this was only due to a lack of research into treatments for cancer. Being faced with such a life altering diagnosis, Terry decided to turn his story around to raise money and awareness for cancer research. He decided to run across Canada and thus began a journey called “Marathon of Hope”. Terry died before he could complete his run as the cancer spread to his lungs and his health deteriorated rapidly thereafter. But by the time he passed away at 22, Terry Fox had raised over CAD 23 million for cancer research. Today Terry Fox’s legacy has raised nearly CAD 650 million in support of cancer research and hundreds of children are now given treatments that have been made possible through our research. The first Terry Fox run in Mumbai was started twenty years ago with the help of Sanjeev Choudhary, the Vice Consul for Canada, and Leopold Cafe, a famous and well-known restaurant in Mumbai. 350 children from the Cathedral School assembled at Priyadarshini Park and raised a total of INR 7 lakhs for cancer research at the Tata Memorial Hospital. 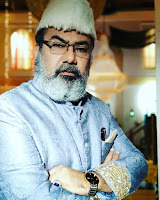 Since then, the run committee has expanded to include principals from various schools across Mumbai, film and media personalities, corporates, banks and several more. 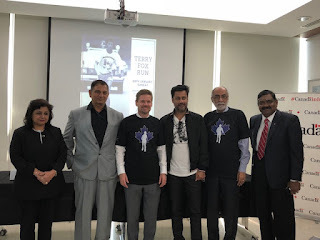 For years, Leander Paes, Abhishek Kapoor, Keith Sequiera and Rochelle Rao have all stood with the Terry Fox India Committee to find a cure for cancer. Today, the run is a city-wide event with nearly 10,000 students from nearly 60 schools participating each year to raise about INR 1.5 crores annually for cancer research. 100% of the proceeds and pledges from children participating in the run are sent directly to the Tata Memorial Hospital. These proceeds have been used to fund a variety of research into childhood cancer. The projects have ranged from research into new radiotherapy techniques that minimize negative health effects to specialized genetic research into various childhood cancers. “I am proud to be part of the 20th Terry Fox Run in Mumbai. Terry Fox was a courageous young Canadian, diagnosed with bone cancer in 1971, who decided to raise money for cancer research by running across Canada. He ran the equivalent of a marathon every day for 143 days before the disease claimed his life. The Terry Fox Run in Mumbai run is one of the largest of its kind in the world. The run has continued all these years with the close collaboration of the Mumbai Terry Fox committee and Tata Memorial Hospital. We hope that everyone will join hands to run (or walk) toward a cancer-free future for our children.” Jordan Reeves, Consul General of Canada. In the early years of the run, only 2 out of 10 children would be able to go back home fully treated. Today, 8 out of 10 children are able to go home and live out their dreams. 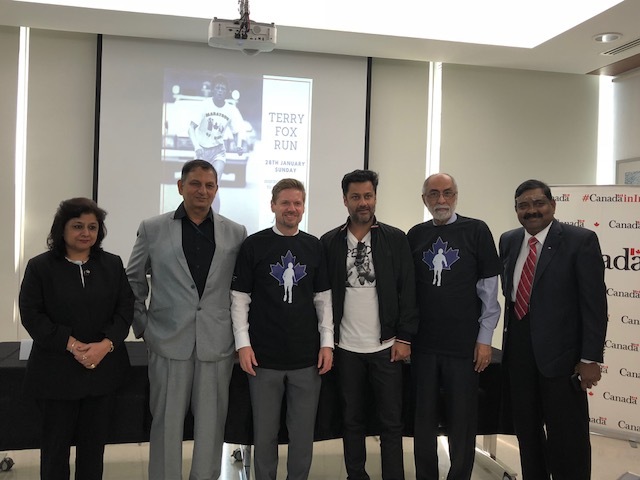 “It is our dream to see a day when all 10 out of 10 children who are treated at Tata Memorial Hospital will be able to go home to their families because of the research that has been made possible through Terry Fox India. A world where children can be children, without the burden of tubes and injections to keep them healthy, that is the world we are aiming for,” says Gul Kripalani, Chairman of the Terry Fox Run India Committee. This year’s run will take place on January 28th at 7:30 am opposite the Air India building. Chief patron, Mrs. Amruta Fadnavis will be felicitating the run this year.